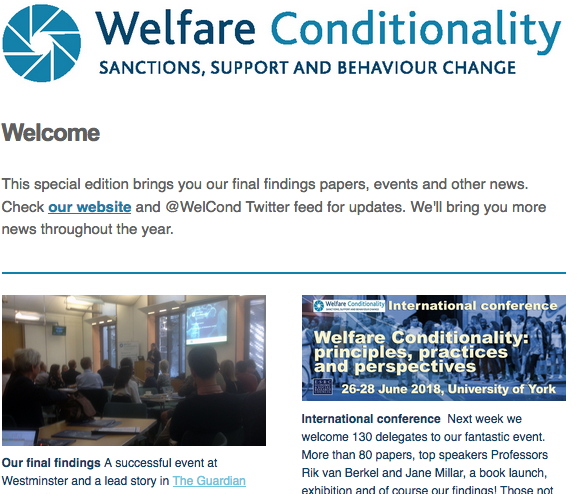 Welfare Conditionality » What makes a good local welfare support and conditionality scheme? What makes a good local welfare support and conditionality scheme? Our new blog post by guest writer Deven Ghelani finds that local conditionality is becoming increasingly prevalent. The Policy in Practice director draws on his experience of working with local authorities to set out some ideas on what makes a good scheme. Read the full story here.